There are a handful of plants that just scream, "The holidays are here!" and paperwhites are one of them. 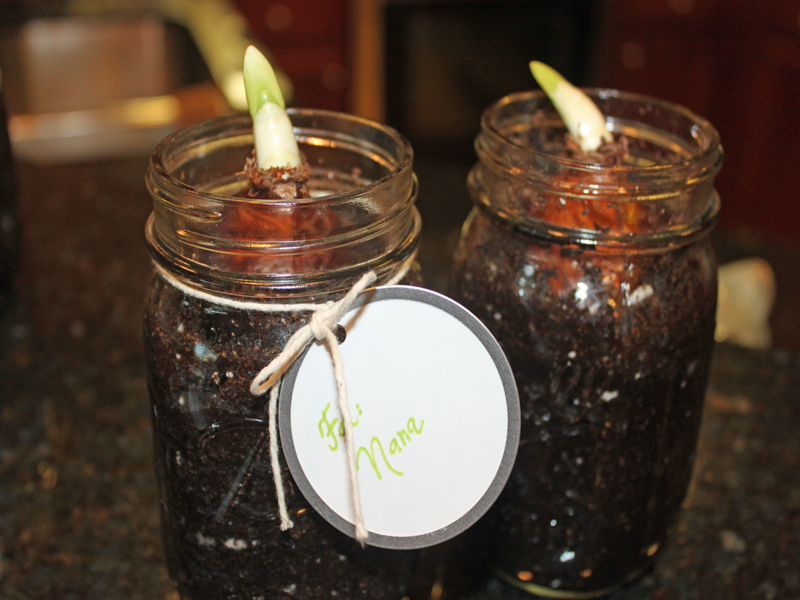 Paperwhites are the perfect holiday gardening project to do with your children because they grow so quickly. Start your paperwhites now and you will have beautiful full blooms to enjoy all winter long. These pretty white blooms look great when grown in recycled mason jars. They make the perfect gift for children to give to teachers, grandparents and coaches. 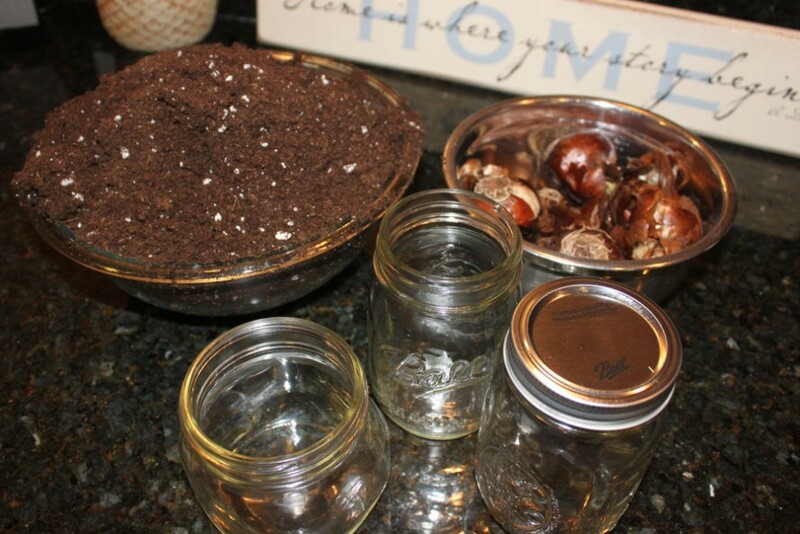 Read on to learn how you can plant paperwhites in recycled jars this afternoon. 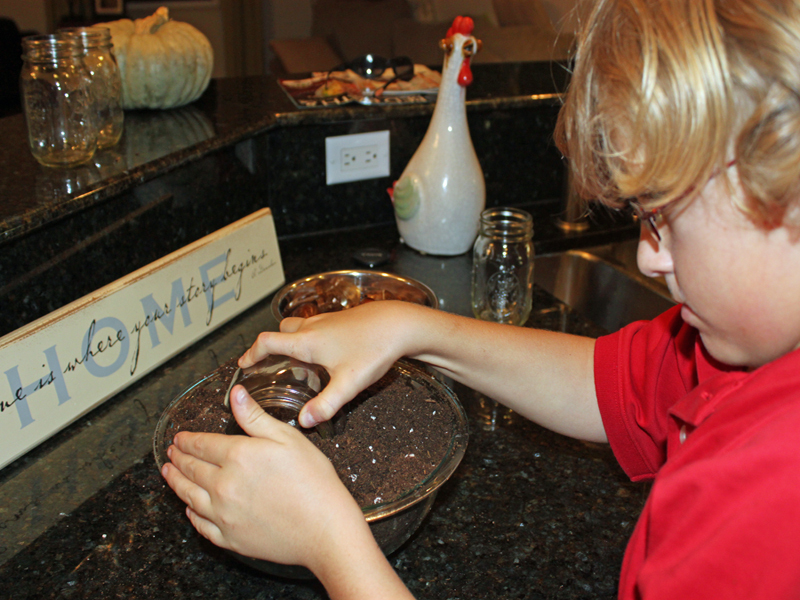 <h2>Step 1: Get your Children Involved</h2> Give your children a bowl full of soil ask them to fill each mason jar. 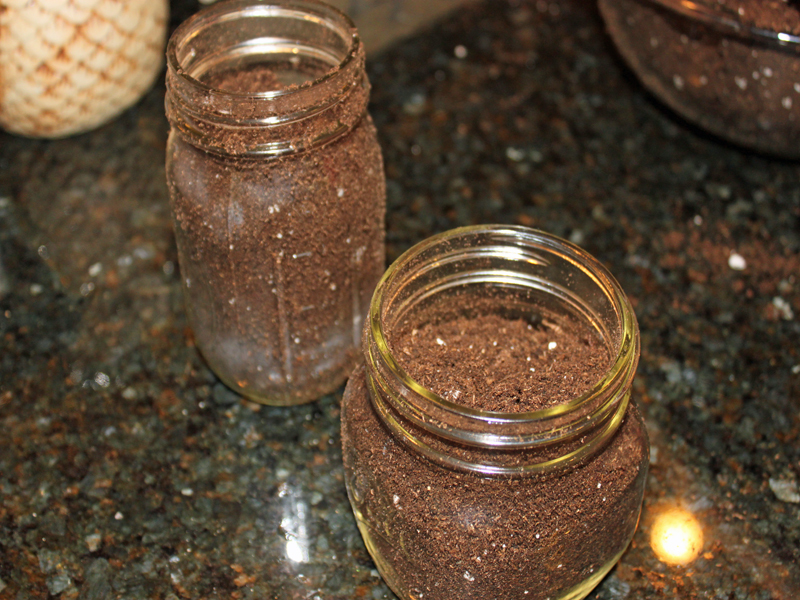 <h2>Step 2: Fill it Up</h2> They should fill each jar 3/4 of the way full of organic soil. 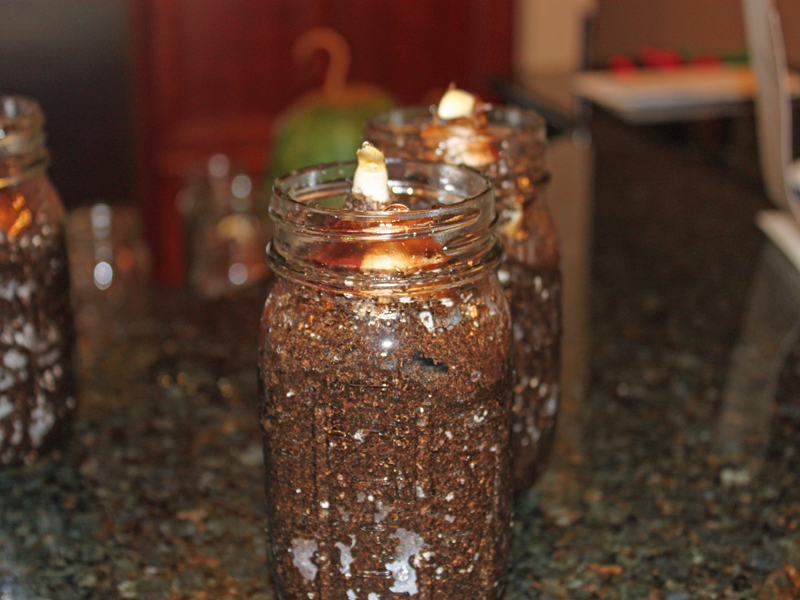 <h2>Step 3: Add a Bulb</h2> Have kids add a bulb to the top of the soil, filling in around the edges with more soil. 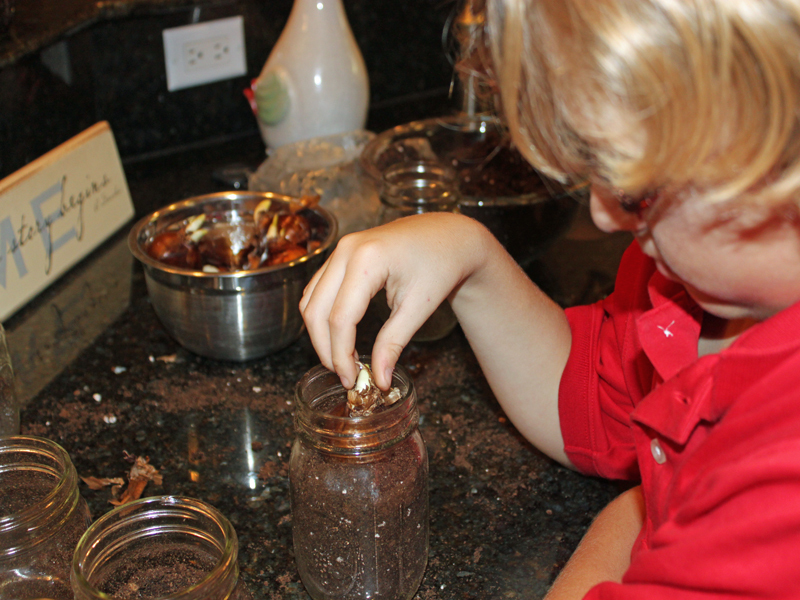 <h2>Step 4: Water Your Paperwhites</h2> Have your children add a small amount of water to each jar using a measuring cup. 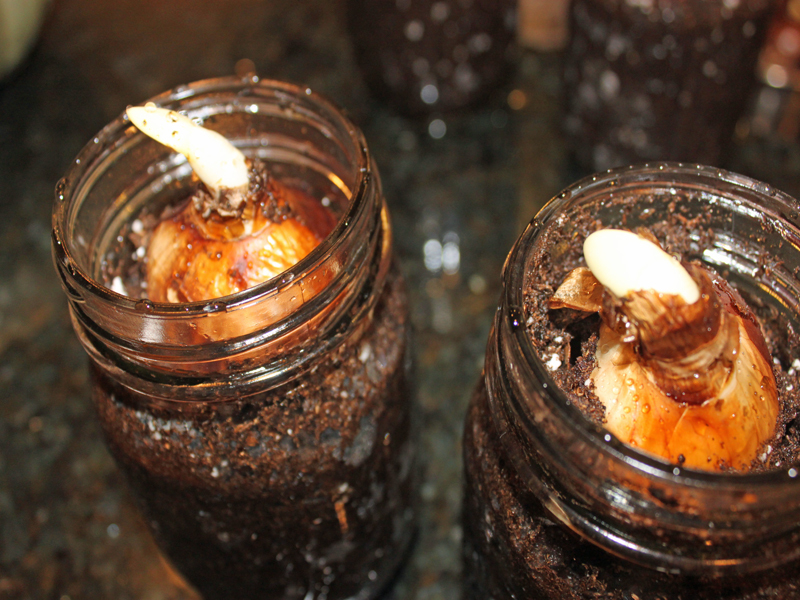 <h2>Step 5: Take Care of Your Paperwhites</h2> Encourage your children to water their paperwhites and to keep them in a warm area of your home. 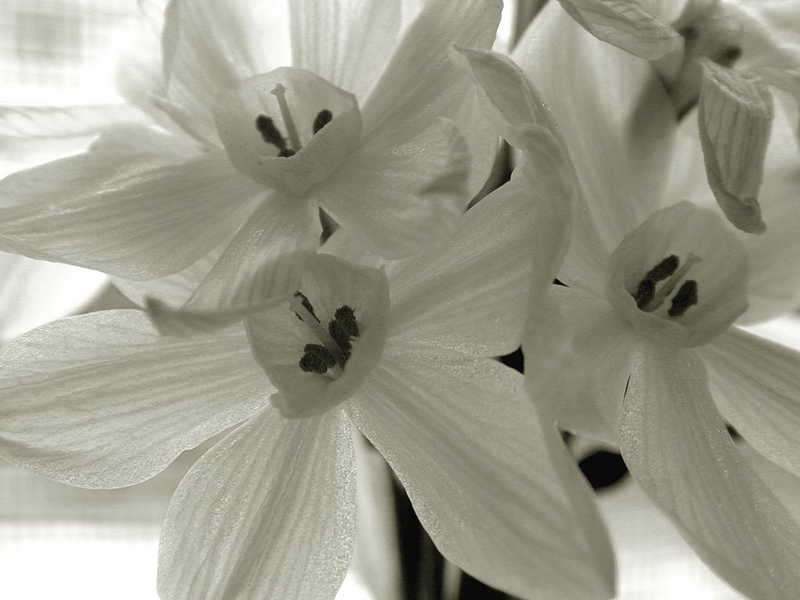 <h2>Step 6: Enjoy Blooms All Winter Long</h2> If you start your paperwhites now, you should have blooms to enjoy for the holidays and throughout the winter. These also make great gifts to give to family, friends and teachers - just wrap a loop of twine around the jar's neck and attach a tag.